You are here: Home / Cocktails / Happy National Margarita Day!!! 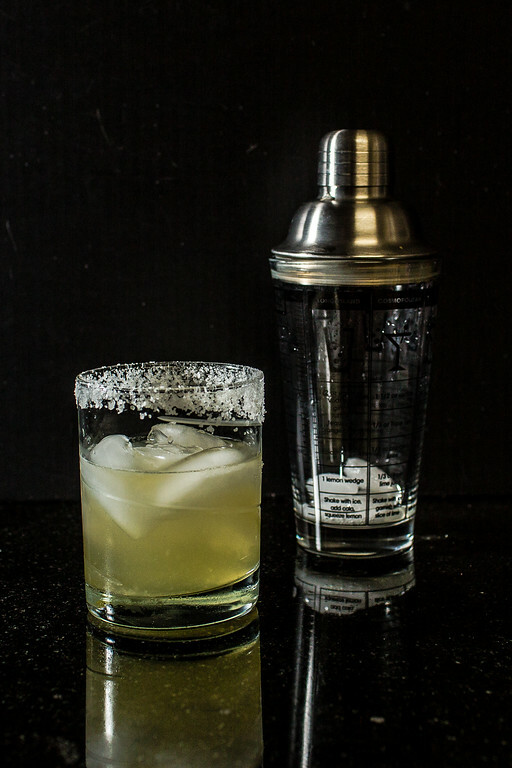 Tim G’s margarita for National Margarita Day. When Heather from girlichef announced that today February 22 was National Margarita Day and asked if anyone wanted to help her celebrate, I am sure I was first in line. If not first, at least in the top ten. If there is one day that I am all about celebrating it would be National Margarita Day! At the end of the post are links to all the other participating bloggers – there are apparently quite a few of us who feel compelled to celebrate this monumental day. It is a rare weekend that goes by in the Sidewalk Shoes household that does not include a margarita. It is such our drink of choice that Mr. Sidewalk Shoes has become somewhat of a connoisseur. A margarita chemist. He works his magic with a combination of homemade and store bought ingredients. His latest work of art includes no less than 7 ingredients. Yes, you can make a mighty fine margarita with less than that, but you can make a mighty, mighty fine one with a little bit of this and a little bit of that. 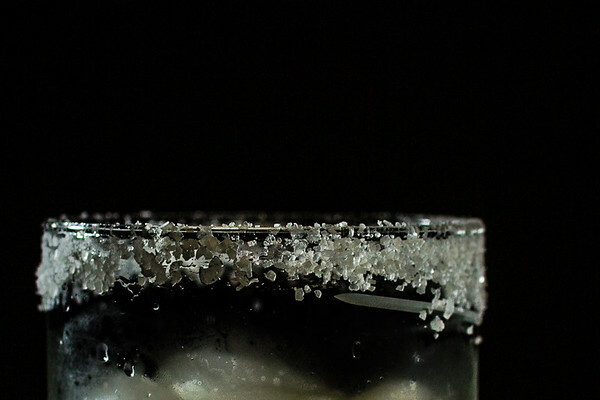 This margarita uses 3 different tequilas! It's amazing! Add ingredients and shake for approximately 15-20 seconds and pour into a salt-rimmed glass. Add a slice of lime for garnish. P.S. If you came here looking for your Saturday dose of kitty cats, they will be back next week. They completely understood that National Margarita Day needed to be celebrated. This looks delicious, and your photos are fabulous! This is absolutely GORGEOUS, and I just so happen to have a bottle of limoncello hanging out in the fridge. YUM! This looks wonderful, and I love that cocktail shaker! So cool! I LOVE that you guys drink margaritas every weekend! And that’s quite a liquor collection that I see in the background of your gorgeous photos. This is one serious drink. Every one of the 7 items is delicious! I hope you had a fabulous Margarita weekend! Your photos are beautiful! 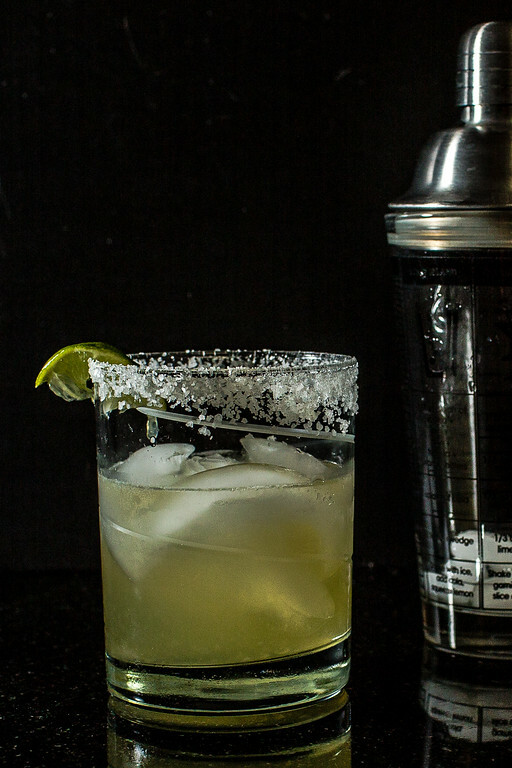 This margarita sounds like a seriously delicious one! Can your pictures be any more gorgeous??? These look amazing! Thanks for sharing on National Margarita Day. I really need to see what this addition of jalapeno is all about. 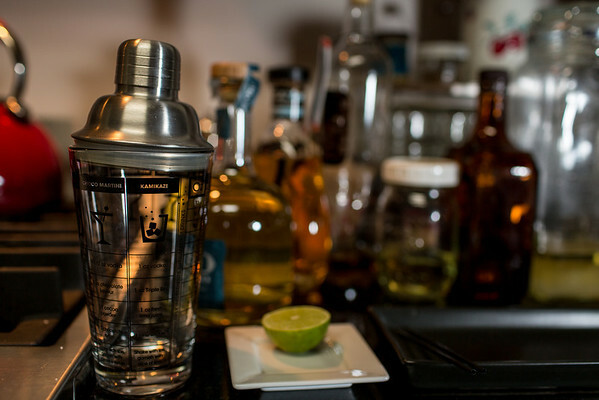 Love the infused tequila thing you have going on too! Happy National Margarita Day! What a fabulous margarita, a real work of art!!! This is one serious Margarita! I had no idea there was a National Margarita Day but I can’t think of a more worthwhile celebration. Your husbands sounds like it should be very good. WOW! This gorgeous margarita has my name written all over it! Happy National Margarita Day! !